Most recent publications as well as materials on Paleontologists. 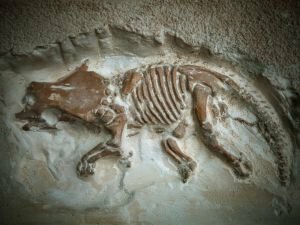 Find out about stories, mysteries along with handy advice in regards to Paleontologists. See the most recent charts as well as write ups in regards to Paleontologists. After the new discovery, the scientists realized that they were wrong about Deinocheirus mirificus. They found that the dinosaur they had labeled as bloodthirsty was in fact a gentle giant with a bill, that fed mostly on plants and small fish. The king of dinosaurs, Tyrannosaurus Rex, was a baby-killer. According to scientists, T-rex would obtain minerals and nutrients, stored in the bones of its young victims. Simple single-celled parasite of the genus Gallinae Trichomonas is the main culprit for the disappearance of the Tyrannosaurus Rex, say paleontologists. Dinosaurs that are close relatives to the Tyrannosaurus rex had cannibal inclinations. Paleontologists have studied fossil of a Gorgosaurus found in Canada 13 years ago.